Dr. Bryant was born in Knoxville, TN. She attended medical school at Meharry Medical College in Nashville, TN. She returned to East Tennessee for her Family Practice Residency and Rural Medicine Fellowship in Kingsport, TN with ETSU Family Practice Program. 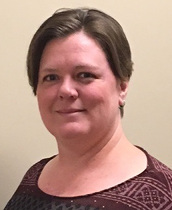 She has practiced Family Medicine for the past 11 years in Johnson City.